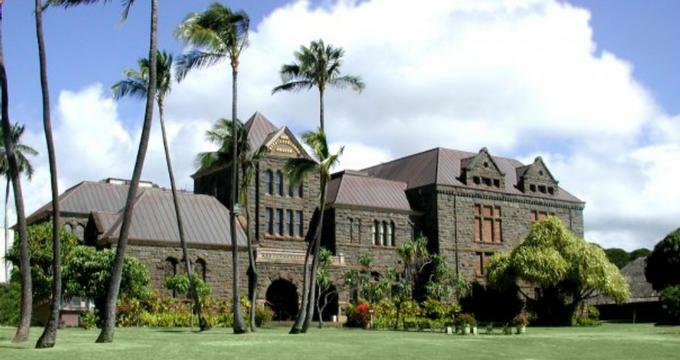 A monument that lays open the treasure of Hawaiian culture and history, the Bishop Museum is home to a wealth of exhibits and collections that bring both ancient and modern-day Hawaii to life. Located in downtown Honolulu, the museum has a range of exhibits and events planned that take place daily and even frequent visitation will be rewarded with something new and exciting to explore. Established in 1889, the mission of the museum was to preserve and share the natural and cultural history of Hawaii and the Pacific. They currently curate and care for over 24 million different cultural, historical, and natural treasures. Every item in the museum has its own very special story to tell and you can trace them back to understand the unique place that Hawaii holds in global history. This is not just a place to enjoy their own carefully curated exhibition, though, as the museum is also host to various travelling shows and exhibitions from across the world, allowing the visitor to experience interesting objects and fascinating stories from a broad spectrum of topics. The museum is incredibly educational, immersive, and engaging. Whilst they take great pride and passion in their historical collection, they also have a keen eye and heart for the sciences, the stars, and the future of the island. Nurturing old and young minds alike, the exciting and informative exhibits can teach as much as they entertain and it’s a beautiful museum that feels far from stale or dusty. General admission to the museum costs $22.95 for adults, $19.95 for senior citizens aged 65 and over, $14.95 for junior citizens aged 4 to 17, and is free for children 3 and under. Kama’aina and military admission costs $14.95 for adults, $12.95 for senior citizens aged 65 and over, $10.95 for junior citizens aged 4 to 17, and again it’s free to children aged 3 and under. If you wish to enter the planetarium during your visit, tickets are an additional $2.95 per person and honoured only in conjunction with a valid ticket to the museum itself. The museum also offers a range of guided tours around the museum and the local area itself; these can be booked through package deals via the website. Additional discounts are available to large groups planning to visit and you can find more information about these on the website as well. The Bernice Pauahi Bishop Museum is open 7 days a week from 9:00am until 5:00pm. They are closed on Thanksgiving and Christmas Day.